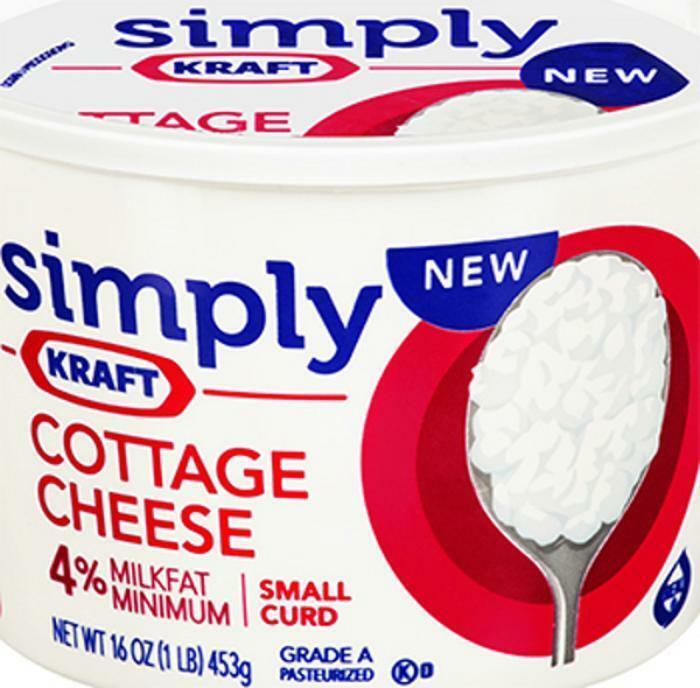 Kraft Foods Group is recalling select Knudsen Cottage Cheese, Breakstone’s Cottage Cheese, Simply Kraft Cottage Cheese and Daily Chef Cottage Cheese products. Some ingredients used in these products were not stored in accordance with Kraft’s temperature standards, which could create conditions that could lead to premature spoilage and/or food borne illness. The affected products all have code dates from May 9, 2014, through July 23, 2014. Approximately 1.2 million cases of affected product were shipped to customers across the United States. Code dates can be found on the bottom of the cup or the top of the package. Simply Kraft products with a plant code of 36-2158 on the cups or a “W” in the case code (e.g., “W 21 JUL 2014”) are not affected. Only those products with a plant code of 06-245 on the bottom of the cup and case code date without any “W” (e.g., “21 JUL 2014”) subject to the recall. No other Knudsen, Breakstone’s, Simply Kraft or Daily Chef products are affected. Consumers who purchased any of these products should not eat them, but return them to the store where purchased for an exchange or full refund. Consumers may contact Kraft Foods Consumer Relations at 1-800-396-6307 between 9 am and 6 pm (Eastern). Houdini Inc. of Fullerton, Calif., is recalling limited quantities of its 7-oz. 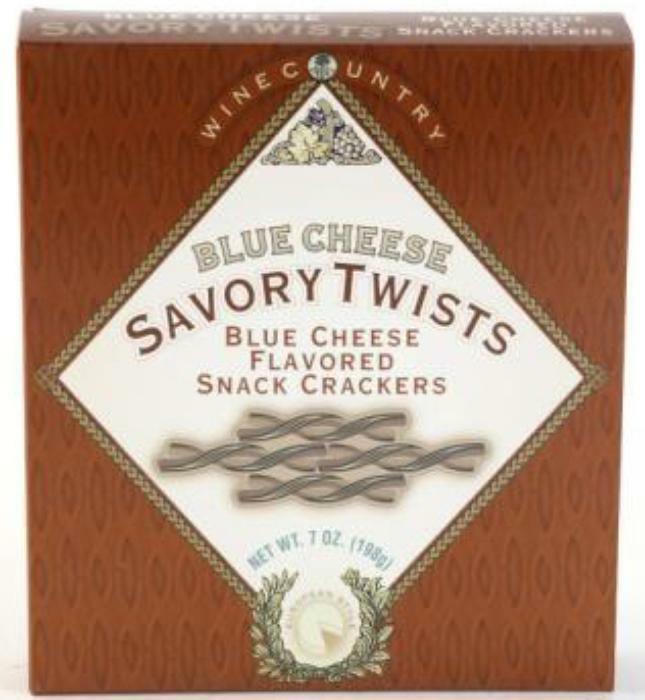 Boxes of Blue Cheese Savory Twists. A limited quantity of the recalled products was distributed nationwide to consumers through Houdini Inc.’s direct to consumer division Wine Country Gift Baskets (catalog / internet) and Houdini Inc,’s wholesale division from September 1, 2016, to December 12, 2016. Consumers with questions concerning this recall may contact Houdini customer care at 866-712-5910 Monday – Friday between 8:00 AM – 5:00 PM (PST). MDS Foods Inc. -- operating out of Massillon, Ohio -- has issued a recall of multiple products that may have been contaminated by listeria. The company was informed by one of its suppliers, Deutsch Kase Haus, that its minihorn cheeses may have been infected by the dangerous bacteria. The affected products were distributed nationwide by MDS Foods Inc. under multiple brand labels, including Amish Classics, Meijer, Deli Made EZ, Deli Readi, Lipari Old Tyme, Duck Deli, and Old Tyme. Consumers who have purchased any of the listed cheese products from the listed sell-by dates are urged not to consume the product and return it to the place of purchase for a full refund. Products with unreadable codes should also be returned for the sake of safety. For more information, consumers can contact MDS Foods Customer Service at (330) 879-9780, extension 105, Monday through Friday, from 8:00 a.m. to 5.00 p.m. EST. 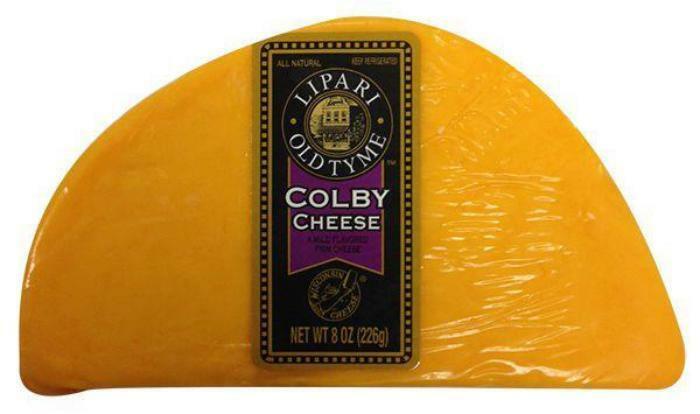 Lakeview Cheese and Bashas’ Family of Stores are recalling various types of Colby cheese that may be contaminated with Listeria monocytogenes. The recalled products, manufactured by Guggisberg Cheese and by Deutsch Kase Haus, were distributed by Lakeview Cheese to Bashas’ Family of Stores, and sold in Bashas’ and Food City supermarkets’ Arizona meat departments under the grocery brands’ private label. Customers who purchased the recalled products between September 1, 2016, and February 21, 2017, may return them to the place of purchase for a full refund. Consumers with questions may call Bashas’ Family of Stores’ customer service department at 480-883-6131. Lipari Foods is recalling various bulk and retail cheeses manufactured by Deutsch Kase Haus. The recalled products were distributed to food service and retail stores throughout Illinois, Indiana, Kentucky, Michigan, Ohio, Pennsylvania, Tennessee, Wisconsin and West Virginia. Customers who purchased the recalled products should not consume them, but return them to the point of purchase. Consumers with questions may call customer service at 800-729-3354, 8:15 am – 4:30 pm (EST) Monday through Friday. Sprout Creek Farm of Poughkeepsie, N.Y., is recalling 132 wheels of "Margie" cheese that may be contaminated with Listeria monocytogenes. Forever Cheese is recalling all Ricotta Salata Frescolina brand, Forever Cheese lot # T9425 and/or production code 441202, from one specific production date due to possible Listeria monocytogenes contamination. The cheese in question is Ricotta Salata brand Frescolina from one production date coded 441202 on the original wheel. There have been 14 reported illnesses in 11 states that may be related to this. The potential for contamination was noted after illness was reported in connection with eating cheese. Each and every distributor and retailer are being contacted in an effort to recall any and all remaining product in the marketplace. If you believe you have purchased any of this cheese, contact your distributor or retailer for a full refund. Consumers with questions should call Jeff DiMeo of Forever Cheese at (888)930-8693from 9 am – 5pm EST and mention recall. Peterson Company is recalling Ricotta Salata Frescolina brand cheese that came from its supplier, Forever Cheese of Long Island City, NY. Forever Cheese recalled this cheese product due to possible Listeria monocytogenes contamination, an organism which can cause serious and sometimes fatal infections in young children, frail or elderly people, and others with weakened immune systems. The cheese was sold to distributors, retailers and restaurants in Washington state and Oregon between July 17 and September 10, 2012. The cheese is Ricotta Salata Frescolina brand, cut into 7 ounce pieces, with manufacturer codes 7022, 7212, 7272 and 7432. There is a total of 390 pounds in distribution. The potential for contamination was noted after an illness was reported in connection with eating the cheese. Each and every distributor, retailer and restaurant has been contacted in an effort to recall any and all remaining product in the marketplace. If you believe that you have purchased any of this cheese please contact your distributor or retailer for a full refund. If you have any questions call Scott Williams or Kelly Beale at Peterson Company at 253-249-2453 Monday through Friday 9 am – 5pm PST and mention Recall, or email Recall@petersoncheese.com. 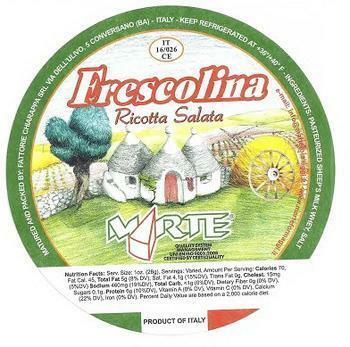 Forever Cheese Inc. is expanding its recall of all Marte brand Ricotta Salata Frescolina cheese, originally announced earlier in September 2012, due to possible Listeria monocytogenes contamination. The cheese in question is Marte brand Frescolina Ricotta Salata, which is a product of Italy. The expanded recall includes ALL lots and ALL production codes. The following lots/production codes may be found on the original wheel. T5086/440220, T5520/440315, T6048/440417, T6528/440519, T7012/440703, T7452/440601, T7939/440822, T8419/441003, T8899/441020, T9425/441202, T9962/441227, U1392/450126. Consumers may wish to follow up at the place they purchased the ricotta salata to ensure when it was cut or repacked that it was not relabeled. 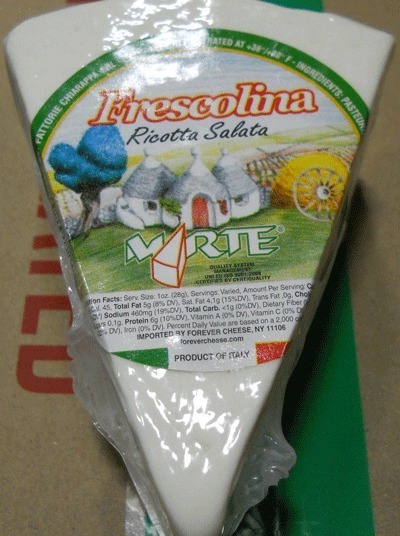 If the product was relabeled, consumers may not be able to determine if the cheese is Marte brand Ricotta Salata Frescolina. There is an outbreak of 15 reported illnesses in 12 states that has been linked to this particular cheese. Distributors and retailers are being contacted in an effort to recall any and all remaining product in the marketplace. If you believe that you have purchased any of this cheese, contact your distributor or retailer for a full refund. If you have any questions please call Forever Cheese contact Jeff DiMeo at (888)930-8693 between 9 am – 5pm (Monday-Friday) EST and mention “Recall”. Kraft Foods is voluntarily recalling the Jalapeno variety of Kraft String Cheese with the Best When Used By date of 23 NOV 2012. There is a possibility that a thin layer of plastic film from the package may remain adhered to the product. If the film sticks to the cheese and is not removed, it could potentially cause a choking hazard. Consumers can find the Best When Used By date on the back of the 12 oz package in the lower-right corner. 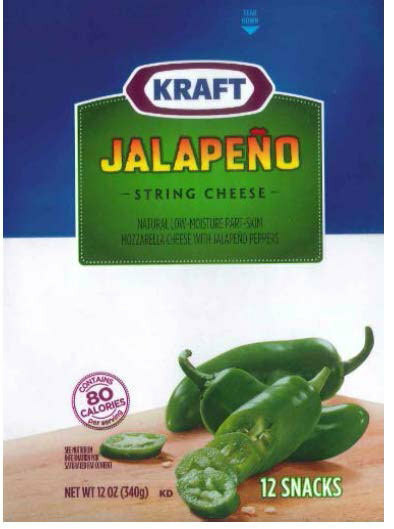 No other code dates of Kraft Jalapeno String Cheese and no other varieties of Kraft String Cheese or any other Kraft Foods products are being recalled. There has been one consumer complaint. Approximately 2,700 cases of the affected product were shipped to customers across the United States. The affected product was not distributed in Canada. Consumers who purchased the product with the Best When Used By date of 23 NOV 2012 should not eat it. They should return it to the store of purchase for an exchange or full refund. Consumers may contact Kraft Foods Consumer Relations Monday through Friday at 1-800-396-2133. The affected product was produced in Campbell, NY. 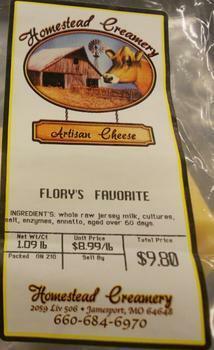 Homestead Creamery of Jamesport, MO, is withdrawing a batch of its Flory's Favorite cheese from the marketplace. Preliminary test results received from the Missouri State Health Laboratory indicate the cheese may be contaminated with Shiga-Toxin producing E.coli, which can lead to food borne illness. Tests to confirm this are cntinuing. The Homestead Creamery plant license to sell milk products in Missouri has been temporarily suspended, pending the results of the investigation by the State Milk Board and Missouri departments of Agriculture and Health and Senior Services. 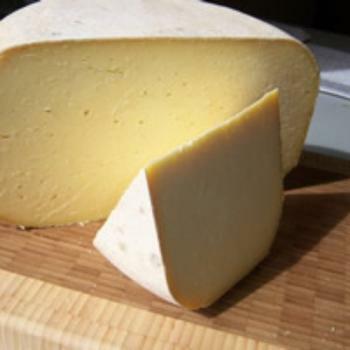 The withdrawn product, Flory's Favorite, is a 60-day aged cheese made with raw milk. Packages of the cheese are marked with "Packed On 210" on the label. This affects approximately 250 pounds of cheese and does not affect any other dairy products from Homestead Creamery. The Missouri State Milk Board continues to review the company's records to determine when consumers may have purchased the product. Anyone who has purchased the cheese may return the unused portion to the store from which they purchased the product. Finger Lakes Farmstead Cheese Company of Trumansburg, N.Y., is recalling 12 wheels of Gouda cheese manufactured on December 20, 2012. Product sampling revealed the presence of Gouda Cheese contaminated with Listeria monocytogenes Type 1. No illnesses have been reported to date. 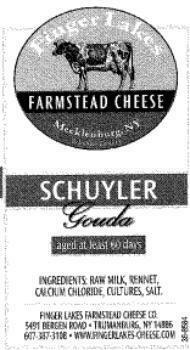 This production batch of Gouda (may be called "SCHUYLER" OR "BIER MECK" GOUDA) was distributed in New York State, predominantly in the Albany region, to retail stores and restaurants. The label on the product will clearly state the product and company name. These products were sold to the distributor Adventure in Food Trading on March 26, 2013. Consumers who have purchased Schuyler Gouda or Bier Meck Gouda with a production date of 12-20-12 are urged to return the product for a full refund. Questions may be directed to Nancy Richards, (607) 387-3108 Monday thru Friday 8 am to 4 pm EST. 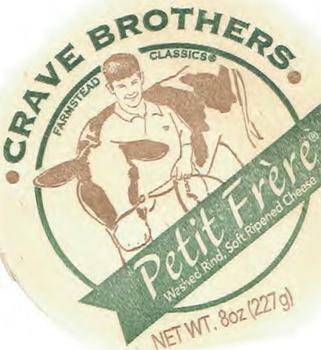 Crave Brothers Farmstead Cheese Company recalling for three specialty cheese products while regulatory agencies continue a multi-state investigation of Listeria monocytogenes. This organism can cause serious and sometimes fatal infections in young children, frail or elderly people, and others with weakened immune systems. These products were distributed nationwide through retail and food service outlets as well as by mail orders. The product also was cut and packaged in clear plastic wrap and sold with Whole Foods Market scale labels. 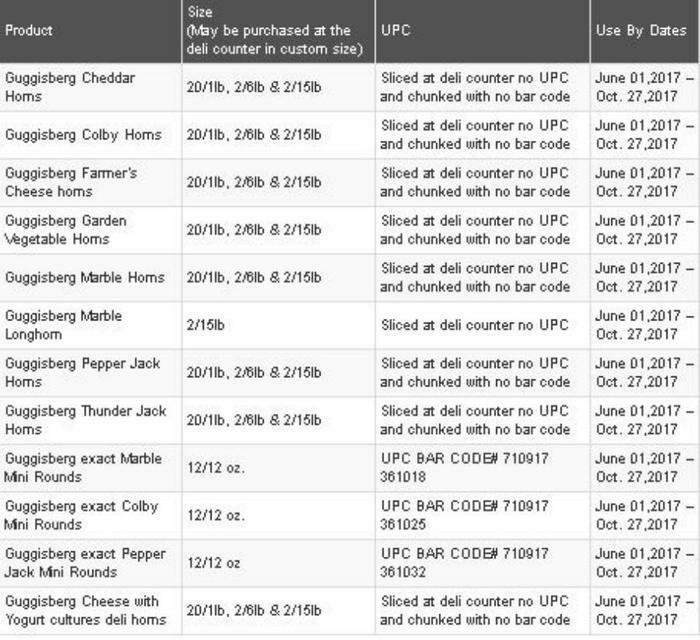 Below is a list of how the cheese was labeled, including PLU code, according to the state in which it was sold. Consumers who have purchased any of these products are urged not to consume them. They can return the cheese to the place of purchase for a full refund or discard it. Consumers with questions may contact the company at 920-478-4887, Monday-Friday from 8 am to 5 pm, or Whole Foods at 512-477-5566 ext. 20060, Monday-Friday from 8 am to 5 pm CDT. 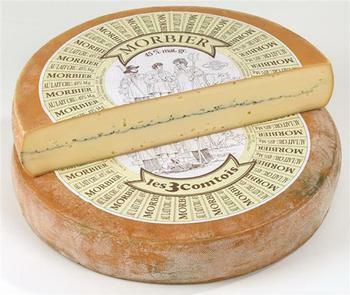 Trois Comtois of Poligny, France, is recalling all Trois Comtois brand Morbier cheese lot #949038 because it has the potential to be contaminated with Listeria monocytogenes, an organism which can cause serious and sometimes fatal infections in young children, frail or elderly people, and others with weakened immune systems. Product was distributed in Maryland, Virginia, Ohio. Washington, D.C., Illinois, Indiana, Louisiana, Mississippi, Minnesota Missouri, Nebraska, Oklahoman, Texas, Wisconsin, California, Oregon, Washington, Arizona, Utah and Hawaii between June 1 and July 24, 2013. Products were sold to supermarkets and gourmet stores. Whole Foods Market issued a similar recall earlier this month. The cheese in question is Trois Comtois brand Morbier, lot#949038 (on the wheel), it comes as a 11lb wheel and is usually cut and wrapped. It has a vegetable ash line in the middle of the cheese. The recall was the result of a routine federal sampling program which revealed the finished products contained the bacteria. Trois Comtois has ceased the production and distribution of the product as FDA and Trois Comtois continue their investigation as to what caused the problem. All distributors and retailers are being contacted in an effort to recall any product remaining in the marketplace. Consumers who have purchased this cheese should contact their distributor or retailer for a full refund. Consumers with questions may call Trois Comtois Monday-Friday from 9am to 5pm (EST) at +1 201 448 8787. Sunny Pine Farm of Twisp, Wash., is recalling Organic Chevre, Organic Parsley Chive Chevre and Organic Honey Lavender Chevre due to possible improper pasteurization. Pasteurization heats milk to eliminate all illness-causing bacteria such as Listeria monocytogenes and Salmonella. The company says it knows of no illness or complaints associated with the recalled Chevre cheese. 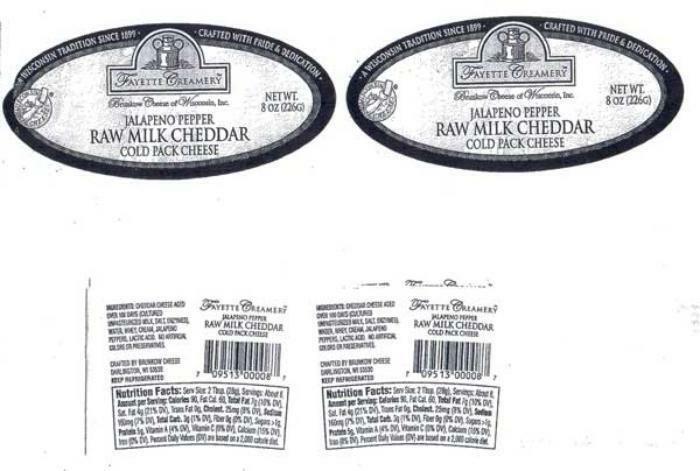 The recalled cheeses were sold in plastic 6-oz tubs in the Twisp-Winthrop area in Washington state through community supported agriculture (CSA) and retail outlets and have an expiration date of 10/16/2013 on a sticker located on the bottom of the container. Chevre cheese products sold at Methow Valley Farmers Market (aka Twisp Farmers Market) between 7/27/13 and 10/12/13 are also recalled, but are not labeled with an expiration date. Consumers who have purchased these products should not consume them and are urged to return them to the place of purchase for a full refund or replacement. Consumers with questions may contact the company at 509-997-4812 between 8AM and 6PM PST. 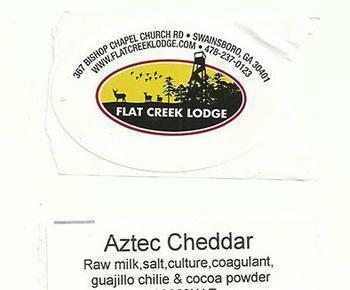 Flat Creek Farm & Dairy of Swainsboro, Ga., is correcting information contained in an earlier recall of its Heavenly Blue Cheese and Aztec Cheddar cheese. The lot number that appears on the Aztec Cheddar cheese is 130823XCAZ, not 130823XAZ as previously reported. As of December 24, 2013, all customers that purchased the product had been notified and all products have been either recovered or destroyed. The 90 pounds of Heavenly Blue and 78 pounds of Aztec Cheddar cheese, were recalled because of potential contamination by Salmonella. he recall was specific to product marked with the lot codes 130916XHB (Heavenly Blue) and 130823XCAZ (Aztec Cheddar), which can be found on the front of the package. 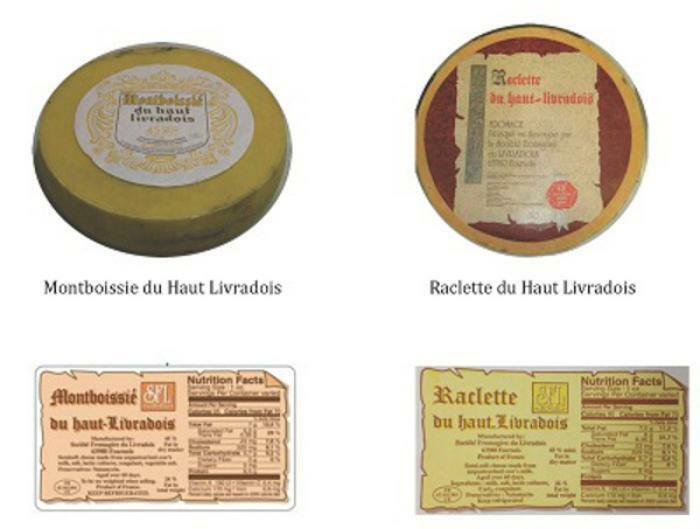 Consumers with concerns about this recall may call Flat Creek Dairy & Farm at 478-237-0123 from 8:00 a.m. to 5:00 p.m.
Ste Fromagere du Livradois of Fournols, France, is recalling Haut Livradois brand Raclette and Montboissie cheeses – lot#350. The products were distributed nationwide in supermarkets and gourmet stores between March 10th, 2014, and May 6th, 2014. 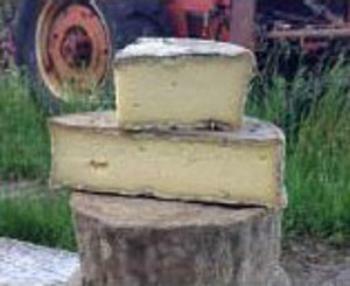 Raclette du Haut Livradois and Montboissie du Haut Livradois -- lot # 350 -- come as a 13-lb wheel and are usually cut and wrapped. The Montboissie has a vegetable ash line in the middle of the cheese. The Raclette does not. Consumers who have purchased the recalled products should contact their distributor or retailer for a full refund. Consumers with questions may contact Ste Fromagere du Livradois at (201) 448 8787 Monday-Friday from 9am to 5pm (EST). Brunkow Cheese of Darlington, Wis., is recalling its 8-ounce tubs of Fayette Creamery brand Jalapeno Pepper Raw Milk Cheddar Cold Pack Cheese Spread. The recalled was distributed nationwide in retail stores and through direct sales on premise at Brunkow Cheese and at farmers markets. Consumers who have the recalled product should return it to the place of purchase for a full refund. Consumers with questions may contact Brunkow Cheese at 608-776-3716 Monday through Friday, 8am - 4pm. La Finquita of Stamford, Conn., is recalling one lot of La Finquita Quesito Fresco Campesino Fresh Farmer’s Cheese. The product may contain peanuts and tree nuts (pistachios), allergens not included on the label’s list of ingredients. No complaints or associated illnesses have been reported. The product was distributed through retail stores in Connecticut, New Jersey and New York. 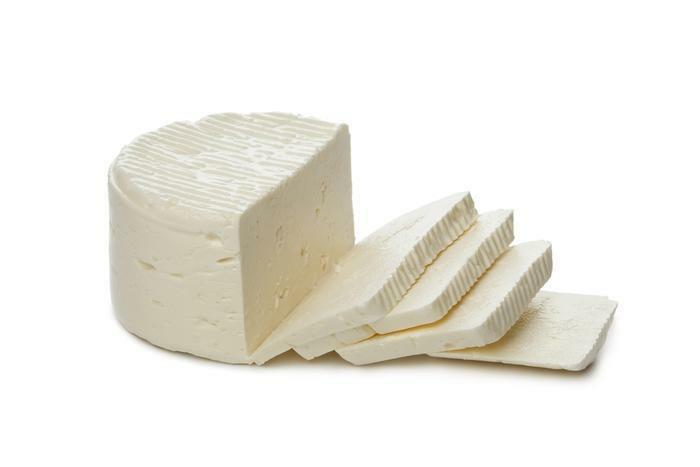 The product, labeled as La Finquita Quesito Fresco Campesino / Fresh Farmer’s Cheese, is packaged in a 14.11-oz. plastic container, UPC Code: 0 94922 76809 4, with sell by date 06/28/14. Consumers should not consume these products, but destroy them or return them to place of purchase for a refund. Consumers with questions may contact the company at (203)561-8140 / (203)561-3929. 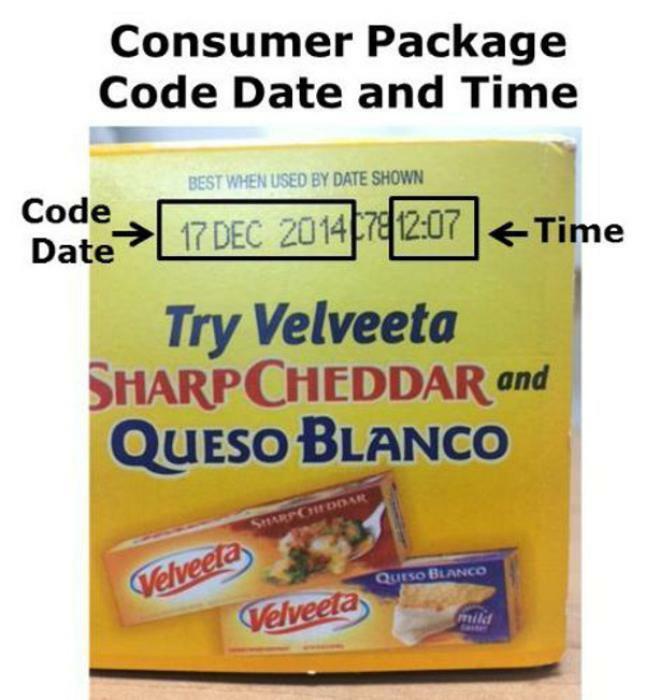 Kraft Foods Group is recalling 260 cases of Velveeta Original Pasteurized Recipe Cheese Product. The product does not contain appropriate levels of sorbic acid, a preservative ingredient, and the . affected product could spoil and/or lead to food borne illness. The single recalled batch of product was shipped to three Walmart distribution centers and may have been redistributed to stores in up to 12 Midwest states: Colorado, Illinois, Indiana, Iowa, Kansas, Michigan, Minnesota, Nebraska, North Dakota, Ohio, South Dakota and Wisconsin. The product was not shipped outside the U.S.
Consumers can find the case code date on the side of the package. No other Kraft or Velveeta products are affected. Consumers may contact Kraft Foods Consumer Relations at 1-800-310-3704 between 9 am and 6 pm (ET). SW Wisc Dairy Goat Products Coop of Mt. Sterling, Wis., is recalling Raw Milk Mild Cheddar Cheese Lot Code 103-114. The product may be contaminated with Shiga toxin producing E coli (STEC) O111:H8 bacteria. The product sent through distributorship in Wisconsin and Georgia, and then to retail stores in the Midwest and Southwest. The cheese, packed as an 8-oz cryovac retail size piece with the code 103-114 on a sticker attached to the side, is all white in appearance and has a front and back separate label. The back label is a black and white nutrition and ingredient label and the front label is a yellow and blue colored label with the Mt. Sterling Coop Creamery brand name. to date." Consumers who purchased the recalled product may return it to the place of purchase for a full refund. Consumers with questions may contact the company at 1-608-734-3151. Great American Appetizers of Nampa, Idaho, is recalling 662 cases of HyVee Mozzarella Cheese Sticks. The product may contain soy flour, yellow #5 and yellow #6, allergens not listed on the label. The HyVee Mozzarella Sticks were distributed to retailers in Iowa, Illinois, Kansas, Minnesota, Missouri, Nebraska, South Dakota and Wisconsin. The recalled product is in an 8-oz. (227 g) carton (UPC #075450149913). The following product date codes are printed on the end of the carton: 14290402 (BEST IF USED BY 4/17/2016) and 14295402 (BEST IF USED BY 4/22/2016). No other date codes are affected by this recall. 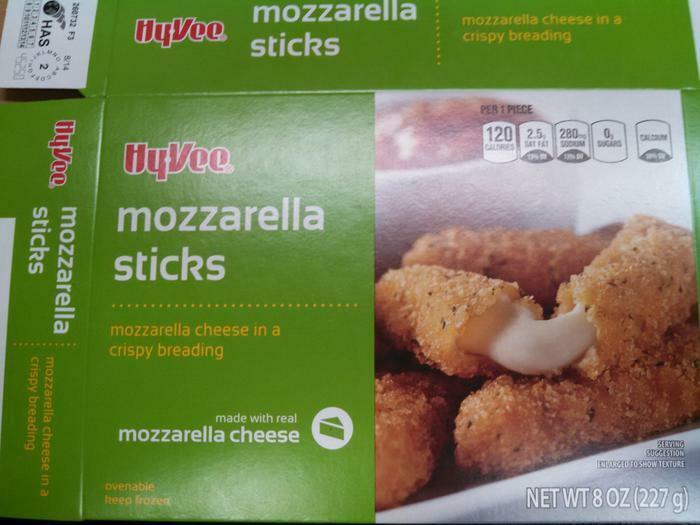 Consumers who have purchased HyVee Mozzarella Cheese Sticks may return them to the place of purchase for a full refund. Consumers with questions may contact the company at 1-800-282-4834 from 8AM – 5PM Mountain Time, or by email at KalaT@appetizer.com. The Food and Drug Administration (FDA) wants to shut down a Michigan cheese-maker that it claims poses a hazard to public health. At the request of the FDA, the Justice Department (DOJ) has filed a complaint for permanent injunction against S. Serra Cheese Company, of Clinton Township, Mich., and its owners, Stefano Serra and Fina Serra. The complaint requests, among other things, that the court issue an order for permanent injunction prohibiting Serra Cheese from receiving, preparing, processing, packing, holding or distributing food until the company brings its operations into compliance with the law. According to the complaint, FDA laboratory testing found non-pathogenic E. coli in S. Serra Cheese’s finished cheese products and Listeria innocua in the company’s facility. The presence of L. innocua indicates unsanitary conditions and an environment that could support the growth of L. monocytogenes, an organism that poses a life-threatening health hazard because it is the causal agent for the disease listeriosis. The complaint also contends that FDA inspections since 2013 documented the failure to implement effective monitoring and sanitation controls in accordance with the current “Good Manufacturing Practice” requirements for food. In June 2013, the FDA issued a warning letter to the company. No illnesses have been reported to date associated with S. Serra Cheese products. 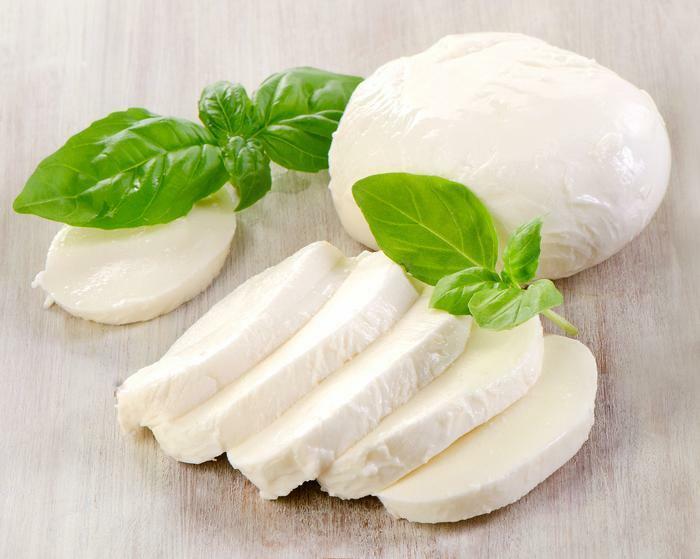 The company manufactures and distributes a variety of pasteurized cheeses including ricotta, provolone, mozzarella and primo sale cheeses in Michigan, Illinois, New York and Pennsylvania. WhiteWave Foods is recalling 7.5-oz. 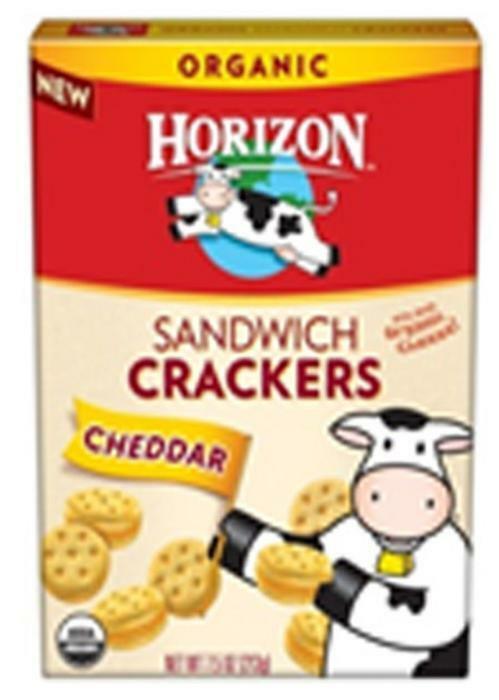 packages of Horizon Cheddar Sandwich Crackers. The product may contain peanuts, an allergen not listed on the label. The outer package is labeled as a cheddar sandwich cracker and the inner package contains the peanut butter sandwich crackers. The company says it believes fewer than 62,160 boxes of product have been shipped to retailers and wholesalers in Alabama, Arizona, Arkansas, California, Colorado, Connecticut, Delaware, Florida, Georgia, Illinois, Indiana, Iowa, Kansas, Kentucky, Louisiana, Michigan, Minnesota, Mississippi, Missouri, New Hampshire, New York, North Carolina, Ohio, Oklahoma, Oregon, Pennsylvania, Tennessee, Texas, Utah, Virginia, Washington and Wisconsin. A “best before” date of 17 May 2015 is on the top of the individual box, and the bottom of the box contains a Universal Product Code (UPC) of 42365 00464. Consumers who purchased the recalled product may return it to the place of purchase for a full refund or exchange. Consumers with questions may contact the Company at 1-866-663-4349 from 8 a.m. to 5 p.m. CST. 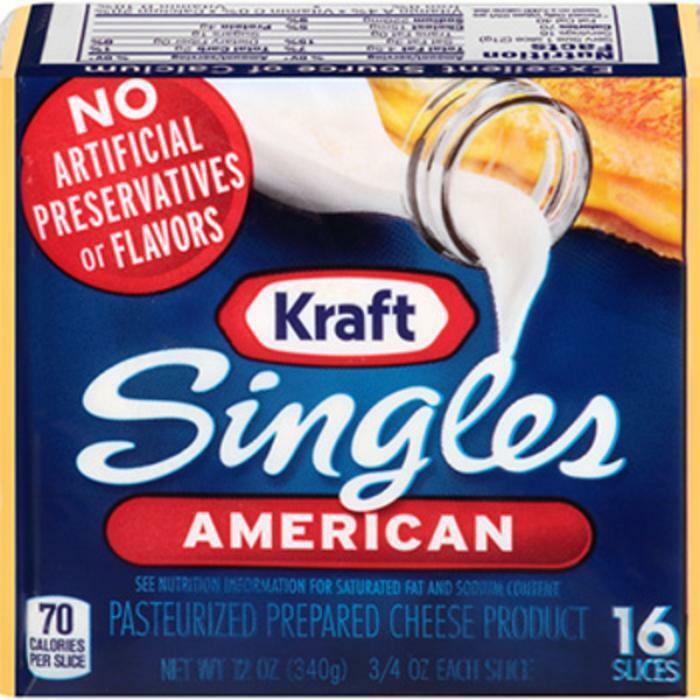 Kraft Foods Group is recalling 7,691 cases of select varieties of regular Kraft American Singles Pasteurized Prepared Cheese Product. A supplier failed to store an ingredient used in this product in accordance with the company's temperature standards, which could create conditions that lead to premature spoilage and/or food borne illness. The company has received no consumer illness complaints for this product associated with this recall. The affected product is limited to four varieties with “Best When Used By” dates of February 20, 2015, and February 21, 2015, and was shipped to customers across the United States. The “Best When Used By” dates can be found on the bottom of the product package. 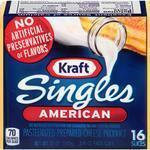 No other Kraft Singles products are affected. Consumers may contact Kraft Foods consumer relations at 1-800-396-5512. 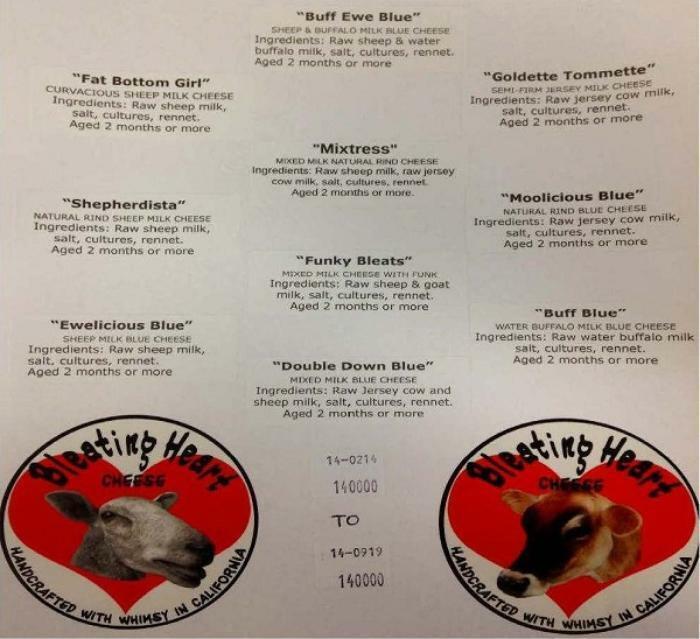 Bleating Heart Cheese (BHC) is expanding a recall notice published in December 2014 to cover all its sheep milk, goat milk, water buffalo milk and cows milk cheese produced between February 14, 2014 (coded as 14–0214) and September 19, 2014 (coded as 14-0919). The company says it has not received any reports of illnesses. The codes on the bottom label of all Bleating Heart cheese represent “Year-Month & Day of the Month” when the cheese was produced. The cheeses listed above were sold to distributors servicing the California and Pennsylvania areas who in-turn sold to retail food shops, restaurants and stores. Consumers who have the recalled products in their refrigerators should discard it in a manner to prevent consumption. Consumers with questions may contact the company at 858-472-1754 Monday-Friday, 9:00am-4:00pm PST or by email at dave@bleatingheart.com. 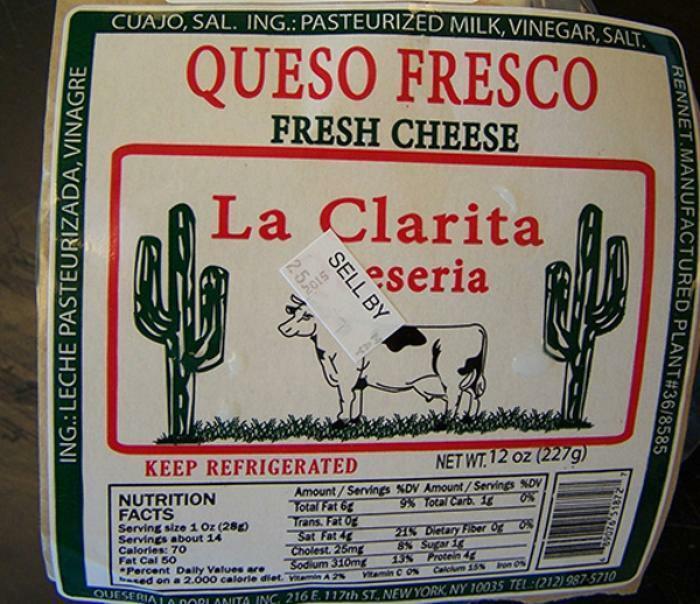 Queseria La Poblanita of New York, N.Y., is recalling La Clarita Queseria Queso Fresco Fresh Cheese. The recalled Spanish-style cheese is sold in 12-oz. plastic tub packages with a label declaring a plant # 36/8585, and a product lot code of MAY 13, 2015. It was distributed to stores and delis in the metropolitan New York area. Consumers who purchased the recalled product should return it to the place of purchase or discard it. 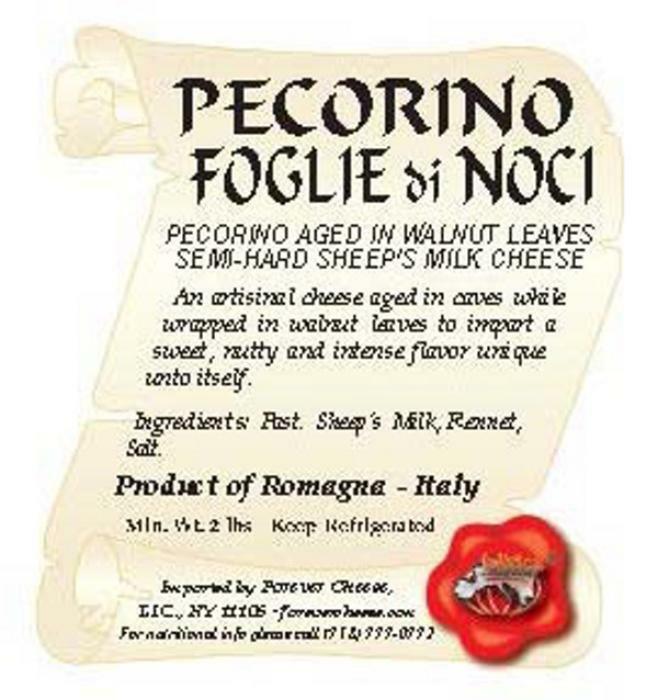 Forever Cheese of Long Island City, N.Y., is recalling 40 cases of Mitica brand Pecorino Aged Cheese in Walnut Leaves (Pecorino Foglie di Noci). There have been no reported illnesses related to this potential contamination to date. The recalled product is from one production code NOC15313 (found on shipping case only) and invoiced as Lot X2537 which the retailer or distributor would be familiar with. Each shipping case contains two wheels of varying weights; each wheel weighs a minimum of 2 lbs. 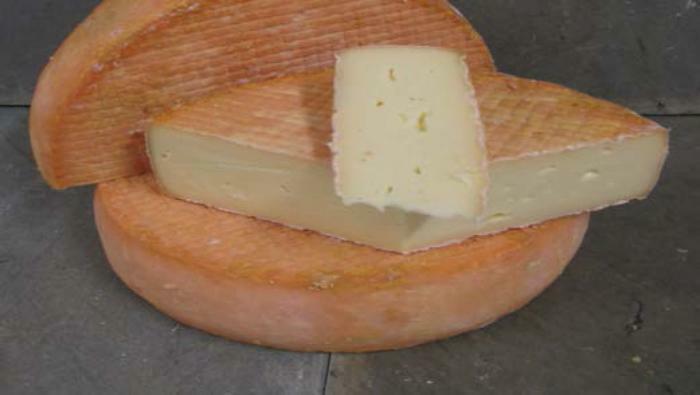 It has a natural grayish rind, and will be labeled at the point of sale at the retail level or on a restaurant menu. The cheese was shipped to distributors between January 27 and February 3, 2016, and was further sold to retailers and restaurants located in Los Angeles, Cleveland, Philadelphia, New York, Colorado, Vermont, Virginia, Florida and Connecticut. Customers should not consume product, but contact the retailer or the company for a full refund. Consumers with questions may contact Sarah Weisensel at 1-888-930-8693, Monday through Friday, 9 am – 5 pm (EST). 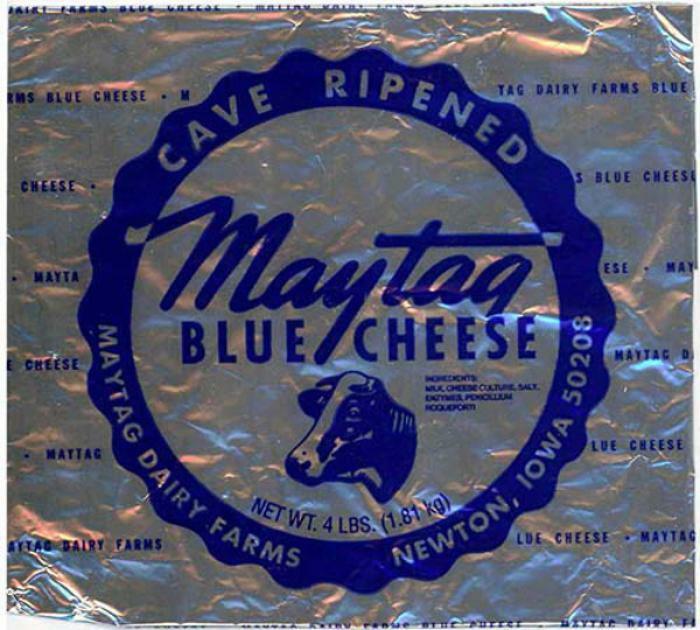 Maytag Dairy Farms of Newton, Iowa, is expanding its earlier recall Maytag Raw Milk Blue Cheese. The expanded recall adds lot # 150482, which includes roughly 1,100 pounds of cheese, some of which has been distributed to retail locations prior to the initial recall, which was for lot # 150481. There have been no reported illnesses linked to the product to date. Customers who purchased this product should not consume it. Customers may call Maytag Dairy Farms at 800-247-2458 or 641-791-2010 to arrange for a refund and return of the product. Maytag Dairy Farms is again expanding its recall of Maytag Blue blue cheese wedges, wheels and crumbles. The recalled products were sold through distributors, wholesalers, retail stores, restaurants and direct mail orders nationwide between November 24, 2015, and February 11, 2016. Customers who purchased these products should discard them immediately and not consume them. Consumers may call Maytag Dairy Farms at 800-247-2458 or 641-791-2010 Monday – Friday 9AM-5PM (CST) to arrange for a refund and return of the product. Whole Foods Market in Austin, Texas, has issued a national recall for Maytag Raw Milk Blue Cheese. 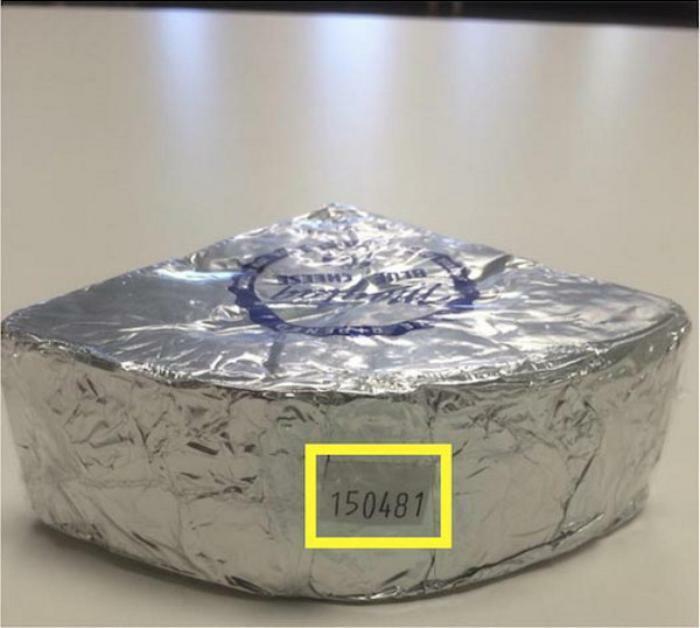 The recalled cheese was sold cut and packaged in clear plastic wrap with scale labels in various weights reading “Maytag Blue Raw Milk,” “Maytag Blue” or “Maytag Iowa Blue Cheese” and with PLU numbers beginning with 293308 and “sell-by” dates of 1/20/2016 and 3/21/16. The product was sold from cheese cases in various Whole Foods Market stores nationwide. Customers who purchased this product should discard it, and may bring their receipt into the store for a full refund. Consumers with questions may call 512-477-5566, extension 20060, Monday through Friday, 8:00 a.m. to 5:00 p.m. (CDT). Maytag Blue Cheese has been recalled from 17 Schnucks Markets locations in the Midwest. Customers who purchased the recalled products should discard it, and may bring their receipt to the store of purchase for a full refund. Customers with questions may contact Maytag Dairy Farms Monday - Friday at 800-247-2458 or 641-791-2010 or the Schnucks consumer affairs department Monday - Friday 8:30 am - 5:00 pm (CST) at 800-264-4400 or 314-994-4400. 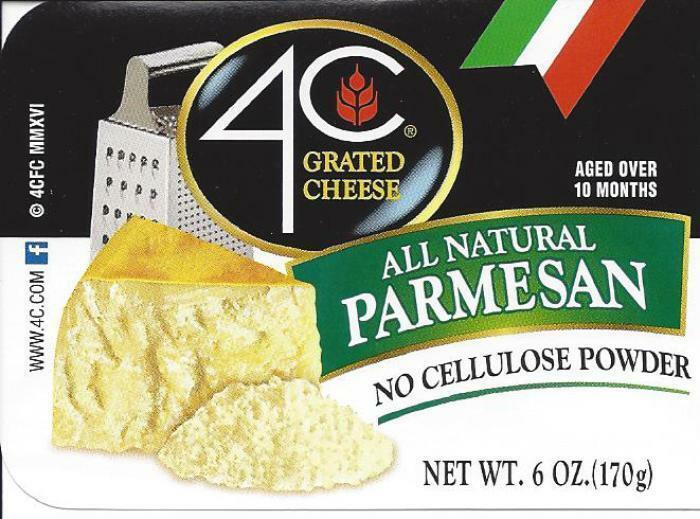 4C Foods Corp. is recalling 4C Grated Cheese, Homestyle Grated Cheese and Cento Grated Cheese brands due to possible Salmonella contamination. Consumers with questions may contact 4C Foods at 866-969-1920 Monday- Friday, 9:30 AM – 4:30 PM (ET). Grassfields Cheese is recalling approximately 20,000 pounds of organic cheeses due to possible contamination with Shiga toxin-producing E. coli (STEC), a bacteria that can cause serious illness in humans. The potential for contamination was identified during an ongoing investigation of seven cases of human illnesses occurring between March and July 2016 caused by a same type of STEC. This recall involves all types and sizes of organic cheeses manufactured by the firm from December 1, 2015, through June 1, 2016, including: Gouda, Onion ‘n Garlic, Country Dill, Leyden, Edam, Lamont Cheddar, Chili Cheese, Fait Fras, Polkton Corners and Crofters. The cheeses -- wheels, half wheels and wedges of various sizes -- were sold from the firm’s retail store in Coopersville, Mich., to wholesale and retail customers, and to consumers nationwide via online sales at http://www.grassfieldscheese.com/. Customers who purchased the recalled products should return them to the place of purchase. Fromi USA of New York, N.Y., is recalling Soureliette cheese and Tomme Brebis Fedou. Soureliette in a 3-lb. box with expiration dates of 02/22/2017; 01/25/2017 and 08/02/2017 stamped on the top. Tomme Brebis Fedou in a 3-lb. box with an expiration date of 02/22/2017 stamped on the top. Consumers with questions may contact the company at 1-718-412-0498, Monday – Friday, 9am - 5pm (ET). Meijer has announced a recall of its Meijer Brand Colby Cheese and Colby Jack Cheese. The company reports that the products, which are sold exclusively through its deli counters, may be contaminated with Listeria monocytogenes. This organism can be potentialy fatal to young children, the elderly, or consumers with frail or compromised immune systems. However, even healthy consumers can experience symptoms such as high fever, severe headache, stiffness, nausea, abdominal pain, and diarhhea. Pregnant women who are infected stand the chance of having a miscarriage or stillbirth. The two cheese products were sold at Meijer stores between November 10, 2016 and February 9, 2017. No known illnesses have been reported thus far, but Meijer initiated the recall after its manufacturer identified evidence of possible Listeria monocytogenes contamination. The recalled products can be identified by the Universal Product Codes (UPCs) printed on the label found on plastic deli packaging. Recalled products have codes starting with 215927 or 215938, with the last six digits varying depending on the weight of the deli order. Consumers are urged to stop using any affected product and either dispose of it or return it to a customer service desk at any Meijer store for a full refund. Consumers seeking additional information should contact Meijer at (800) 543-3704. 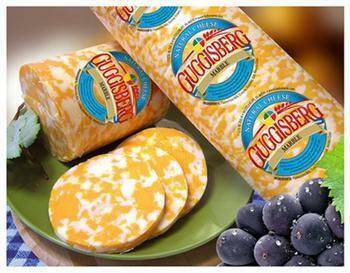 Guggisberg Cheese Inc. is initiating a recall of certain colby cheese products after receiving reports of a possible listeria contamination. The products were produced by Guggisberg Cheese Inc. and Deutsch Kase Haus, LLC between September 1, 2016 and January 27, 2017. They were packaged in clear plastic and sold at deli counters and in retail stores in Ohio, Indiana, Michigan, Pennsylvania, Kentucky, Illinois, and West Virginia. There have thus far been no reports of illness related to this recall. Consumers who have purchased any of the recalled products are urged to either throw them away or return them to the place of purchase for a full refund. For more information, consumers can contact customer service representative Ursula Bennett at 330-893-2500, Monday through Wednesday and Friday, from 8:00 a.m. to 4:00 p.m. EST. Yoke's Fresh Market is recalling two types of Colby cheese that may be contaminated with Listeria monocytogenes. 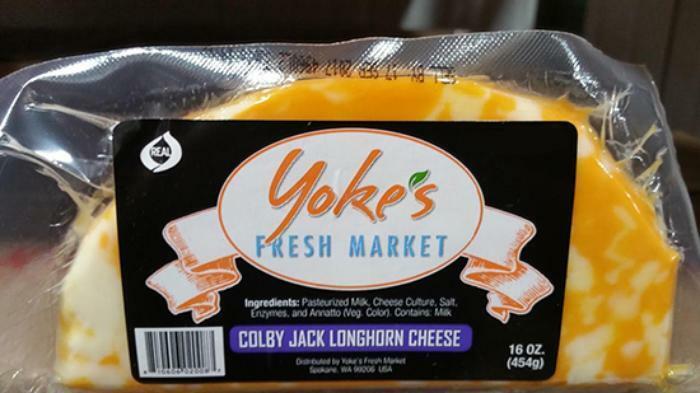 Colby Jk Longhorn Cheese - Yoke's Fresh Market 16 oz. Colby Longhorn Cheese - Yoke's Fresh Market 16 oz. Customers who purchased the recalled products between September 1, 2016, and January 27, 2017 should return them for a full refund. Consumers with questions may call Yoke's at (509) 921-2292 ext. 55. Meijer is expanding its earlier recall of cheeses to include its Meijer brand Artisan Made Natural Muenster Cheese and its pre-wrapped Ham Sub on Artisan White Baguette. There have been no known illnesses reported to Meijer associated with these products. The recalled Meijer brand Artisan Made Natural Muenster Cheese was located on “cheese islands” within the retailer’s deli section, has the expiration dates of March 28, 2017, May 13, 2107, and June 10, 2017, and the UPC 8-86926 27573-5. The recalled Meijer pre-made Ham Sub on Artisan White Baguette was located in its “grab-and-go” fresh deli cases with sell by dates between November 2, 2016, and December 30, 2016, and the UPC Code 7-13733 76499-5. Customers who purchased the recalled products should stop using them and and either dispose of them or return them to the customer service desk at any Meijer store for a full refund. Consumers seeking additional information may contact Meijer at (800) 543-3704, 24 hours a day, seven days a week. 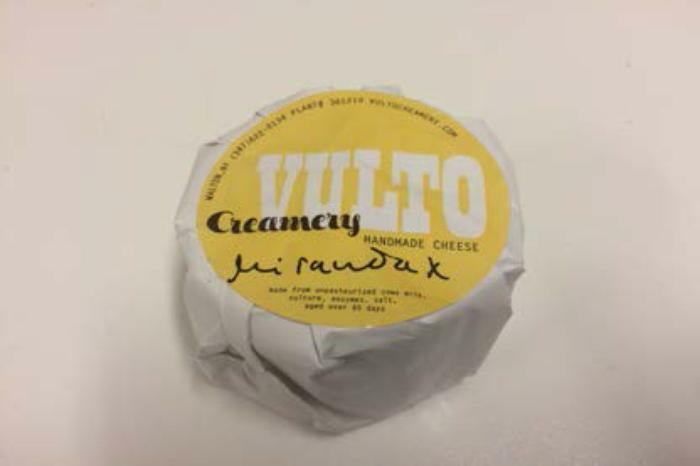 Vulto Creamery of Walton, N.Y., is recalling all lots of Ouleout, Miranda, Heinennellie, and Willowemoc soft wash-rind raw milk cheeses. Testing results from the Food & Drug Administration found Ouleout lot # 617 positive for Listeria monocytogenes and New York Department of Agriculture and Markets found the possible contamination of Ouleout lot #623. The recalled products were sold at retail locations in the Northeastern and Mid-Atlantic States, California, Chicago, Portland and Washington, D.C.
Customers who purchased the recalled products should return the cheese to the purchase location for a refund. Consumers with questions may contact the firm at 607-222-3995 Monday-Friday 9:00 am - 4:00 pm (ET) or by email at vultocreamery@gmail.com. Whole Foods Market, in response to Vulto Creamery’s recall of soft wash- rind raw milk cheeses, is recalling the products from nine stores in Connecticut, Massachusetts, Maine and New York. 350 Grasmere Avenue, Fairfield, Conn.
115 Prospect Street, Cambridge, Mass. 170 Great Road, Bedford, Mass. 575 Worcester Road, Framingham, Mass. 647 Washington Street, Newton, Mass. 1425 Central Avenue, Albany, N.Y.
250 7th Ave, New York, N.Y.
270 Greenwich Street, New York, N.Y.
Customers who purchased the recalled products may bring their receipts to the store for a full refund. Consumers with questions may call 607-222-3995 Monday-Friday, 9:00 am - 4:00 pm (ET) or by email at vultocreamery@gmail.com. Biery Cheese Company is expanding its earlier recall of specialty cheeses that may be contaminated with Listeria monocytogenes. The recalled products were packaged at Biery Cheese Company in Louisville, Ohio, and shipped to distribution centers located in the States of: Florida, Georgia, Kentucky, Massachusetts, Michigan, Ohio and Wisconsin between February 7-10, 2017. Consumers with questions may contact Biery Cheese Company at 1-800-243-3731 Monday through Friday, 8:00am to 4:30pm (EST). Vulto Creamery of Walton, N.Y., is expanding its earlier recall of raw milk cheeses. All lots of four additional cheeses have been added to the recall: Andes, Blue Blais, Hamden & Walton Umber. In all, Vulto has recalled the following eight cheese items: Heinennellie, Miranda,, Willowemoc, Ouleout , Andes, Blue Blais, Hamden & Walton Umber. Testing results have identified Ouleout product contamination, similar to the strain isolated from a cluster outbreak of Listeriosis responsible for six illnesses and two confirmed deaths. The recalled products were distributed nationwide, with most being sold at retail locations in the Northeastern and Mid-Atlantic states, California, Chicago Ill., Portland Ore., and Washington, D.C.
Customers who purchased the recalled products should return them to the place of purchase for a refund. Consumers with questions may contact Vulto at 607-222-3995 Monday-Friday 9:00 am - 4:00 pm (ET) or by email at vultocreamery@gmail.com. Whole Foods Market is expanding its recall of cheese products made by Vulto Creamery to include Andes, Hamden and Walton Umber cheeses sold in eight stores in Massachusetts, New Jersey and New York. While Vulto has reported six illnesses and two deaths, Whole Foods Market has not received any reports of illnesses or injuries from consumers who purchased the recalled products. 94 Derby Street, Hingham, Mass. 1255 Raritan Road Unit 150, Clark, N.J.
300 Bergen Town Center, Paramus, N.J.
238 Bedford Ave, Brooklyn, N.Y.
1095 Avenue of the Americas. New York, N.Y.
4 Union Square South, New York, N.Y.
575 Boston Post Road, Port Chester, N.Y.
Customers who purchased the recalled products should bring their receipts to the store for a full refund. Consumers with questions may call 607-222-3995 Monday-Friday, 9:00 am - 4:00 pm (ET) or email vultocreamery@gmail.com. Testing results from the Food & Drug Administration (FDA) found Ouleout lot # 617 positive for Listeria monocytogenes, and New York Department of Agriculture and Markets found possible contamination of Ouleout lot #623. In the first expansion earlier this month, the company disclosed that testing results have identified Ouleout product contamination, similar to the strain isolated from a cluster outbreak of Listeriosis responsible for six illnesses and two confirmed deaths. The soft raw milk cheeses were distributed nationwide, with most being sold at retail locations in the Northeastern and Mid-Atlantic States, California, Chicago, Portland and Washington, D.C.
Customers who purchased the recalled products should not consume them, but return them to the purchase location for a refund. Consumers with questions may contact the company at 607-222-3995 Monday – Friday 9:00 am – 4:00 pm ET) or by email at vultocreamery@gmail.com. 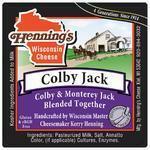 Henning’s Cheese of Kiel, Wis., is recalling about 1,000 pounds its Colby Jack cheese. Due to an equipment malfunction, verification of proper pasteurization was not possible. No illnesses have been reported related to consumption of this product. The recalled product, sold throughout Wisconsin in one and two pound blocks on or after April 10, 2017, in one and two pound blocks, contains the date code of 1007 on a small label on the bottom of the cheese block. Whole Foods Market is recalling Reblochon Cheese "raw cow cheese" that may be contaminated with E. coli O26. There have been no reported illnesses associated with the consumption of this product in Canada, although illnesses have been reported in France. U.S. Marshals have seized about $200,000 worth of food products from Bedford Cheese Store Inc. in Shelbyville, Tenn., after U.S. Food and Drug Administration (FDA) investigators found evidence of rodents throughout the company’s facility. The inspection found rodent feces, rodent hair, rodent nesting material and building defects that could allow rodents and other pests to enter food storage areas and other areas that apparently contributed to the infestation. Products seized at Bedford Cheese included cheese, frozen foods, pastas, salad dressings, prepared salads, soups, and various bulk ingredients. The products are adulterated under the Federal Food, Drug and Cosmetic Act because they have been held under unsanitary conditions and may have become contaminated with filth. In a written response to the FDA following the inspection, Bedford Cheese committed to cleaning up its facility. However, the company failed to complete all corrective actions, including the development and implementation of a pest control plan to rid the facility of the active rodent infestation. Haddon House of Medford, New Jersey is recalling Asian Gourmet Cheese Rice Crackers (UPC 076606-710889), because it may contain undeclared milk and food coloring additives used to create the cheese powder listed on the label. People who have an allergy or severe sensitivity to milk run the risk of serious or life-threatening allergic reaction if they consume these products. The Asian Gourmet Cheese Rice Crackers was distributed in the following states and was distributed by Haddon House Food Products to numerous retailers: AL, CT, DE, FL, GA, IL, IN, KY, ME, MD, MA, MI, MS, NH, NJ, NY, NC, OH, PA, RI, SC, TN, VT, VA, Washington, DC, WV, WI. Specific information on how the product can be identified is as follows. This recall includes all lot numbers. Product is packed in a semi transparent cellophane package red in color with a black and white logo ASIAN Gourmet – Rice Crackers – Cheese. The UPC number of 076606-710889 can be found on the back of the package next to the Nutritional Panel. As of this date, no illnesses have been reported due to this recall. This recall was initiated when it was discovered the following ingredients had not been included on the products’ ingredient statement: the ingredients of the cheese powder (Cheese Solids, Milk Solids, Salt, Disodium Phosphate, Calcium Chloride, FD & C Yellow 5, FD & C Yellow 6, Silicon Dioxide). The packaging does not declare the milk allergen. This is a voluntary recall. Anyone possessing this product may return it to their place of purchase for a full refund. Please address any questions or concerns you have pertaining to the recall of Asian Gourmet Cheese Rice Crackers to Steve Spatzier, Haddon House Food Products, Inc., telephone 1-800-257-6174 between the hours of 8 a.m. and 5 p.m. Monday through Friday eastern standard time. The U.S. Food and Drug Administration (FDA) is asking a federal court to shut down a New York cheese manufacturer because of a history of unsanitary conditions and producing cheese in a facility contaminated with Listeria monocytogenes bacteria. 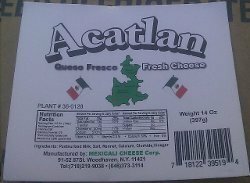 According to a complaint for permanent injunction filed by the U.S. Department of Justice, Mexicali Cheese of Woodhaven, N.Y., and two of its officers, Edinson Vergara and Claudia Marin, produced cheese under persistent unsanitary conditions that contributed to widespread Listeria monocytogenes contamination in Mexicali Cheese's facility. In addition, the complaint, filed January 30 in the U.S. District Court for the Eastern District of New York, says that the New York State Department of Agriculture & Markets, Division of Milk Control and Dairy Services found similar unsanitary conditions in addition to product contamination. Mexicali Cheese makes and distributes a variety of soft Mexican cheeses to grocery stores and supermarkets in New York, New Jersey and Connecticut. Mexicali Cheese’s products include queso fresco [fresh cheese], queso oaxaca [Oaxacan cheese] and queso para freir [cheese for frying]. If entered by the court, the injunction would stop the company and its officers from manufacturing and distributing food until they can bring their operations into full compliance with the Federal Food, Drug, and Cosmetic Act and FDA food safety regulations. The U.S. Food and Drug Administration (FDA) said it will ask a federal court to order the closure of a New Jersey cheese manufacturer it says has a history of operating under unsanitary conditions. The FDA said it will seek action against Quesos Mi Pueblito and two of its officers, Felix Sanchez and Jesus Galvez. According to the agency, recent inspections by the FDA and the New Jersey Department of Health and Senior Services found Listeria-contaminated cheese and unsanitary conditions at the Passaic company. If entered by the court, the injunction would stop the company and its officers from manufacturing and distributing food until they can bring their operations into full compliance with FDA food safety regulations and produce cheese that does not test positive for the presence of Listeria. The complaint for permanent injunction was filed in the U.S. District Court, District of New Jersey. "FDA's work with federal and state partners to root out or remedy food manufacturers not compliant with food safety laws ensures safer foods get to our dinner tables," said Michael Chappell, the FDA's acting associate commissioner for regulatory affairs. Quesos Mi Pueblito currently manufactures and distributes a variety of soft, semi-soft, and hard Mexican cheeses in grocery stores and supermarkets in Connecticut, Massachusetts, New York, North Carolina, Florida, Virginia and the District of Columbia. Among Quesos Mi Pueblito's products are queso oaxaca, queso fresco, queso requeson and queso cotija molido. 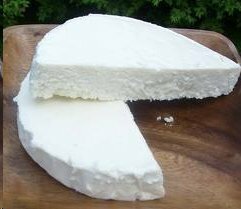 The U.S. Food and Drug Administration is warning consumers not to eat Queso Fresco Fresh Cheese Mexican style soft cheese or any Queso Cotija Molido Mexican style grated cheese manufactured and distributed by Peregrina Cheese Corp. of New York City. The agency says these products could be contaminated with Listeria monocytogenes, an organism which can cause serious and sometimes fatal infections in pregnant women, young children, frail or elderly people, and others with weakened immune systems. Although healthy individuals may suffer only short-term symptoms such as high fever, severe headache, stiffness, nausea, abdominal pain and diarrhea, Listeria monocytogenes infection can cause miscarriages and stillbirths among pregnant women. Consumers who may have recently consumed these products and have these symptoms should contact their health care providers, the FDA advises. No illnesses are known to be associated with the products at this time. The company is recalling certain products based on sampling and analysis by the FDA that detected Listeria monocytogenesin some of the samples. The company is recalling two lots of its Queso Fresco Fresh Cheese Mexican style soft cheese and one lot of its Queso Cotija Molido Mexican style grated cheese. The Queso Fresco Fresh Cheese comes in a 14-ounce foil wrapped packages marked with lot number 4469 or 4477 affixed to each package on a white sticker and bearing UPC number 8 17424 00024 6 and Plant # 36-8431. 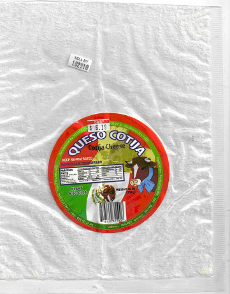 The Queso Cotija Molido Cheese comes in 15-ounce clear plastic bags that are marked with UPC number 8 17424 00027 7 and Plant # 36-1388, but do not contain a lot number or production date. Both products were distributed to retail stores in the New York City boroughs of Brooklyn, Queens, Bronx and Manhattan, and two towns in Pennsylvania (Scranton and Hazelton) in early February. The company has contacted all its customers and instructed them to destroy all affected products in their inventory. Consumers who purchased any of the products are urged to discard them immediately. Although the FDA detected Listeria monocytogenes in only one production date of Peregrina Cheese Corporation's Queso Cotija Molido Cheese, the agency is urging consumers to discard all of these products because they do not contain a lot code or production day code to allow consumers to distinguish between a product that is of concern and a product that is not of concern. Productos Tita Corp (Trade Name of Tita Products), located in Glendale, NY, is voluntarily recalling certain fresh cheese products due to the improper pasteurization of the milk used to make the cheese. Proper pasteurization heats milk in order to effectively eliminate all pathogenic bacteria, such as Listeria and Salmonella. The recalled fresh cheese products are all sold in plastic pouches, or rectangular clear plastic tubs and are marketed under the brand name “Tita.” The package labels bear the plant code 36-8440. The products also possess a stamped ink date code beneath the label bar code. The recall applies to all date codes of these products found in the marketplace -- the metropolitan New York area. 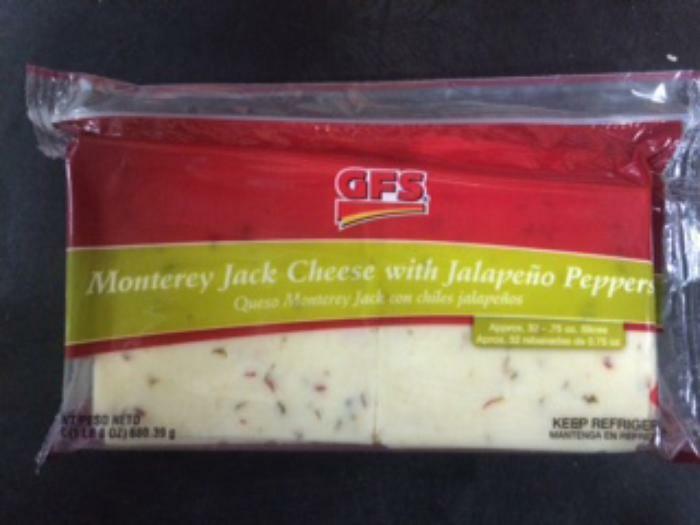 The cheese products involved in this recall are labeled: Quesito Colombiano Colombian Cheese. The problem was detected by a New York State Department of Agriculture and Markets’ milk inspector during an inspection on July 17, 2012. The inspection found a failure to follow proper pasteurization procedures by the Productos Tita Corp. cheese plant. While the recalled products have not been found to be contaminated with any harmful pathogens, the company is recalling all production date codes of this product, as a precautionary measure. No illnesses have been reported to date. Consumers are warned not to use or consume the recalled product, even if it does not appear or smell spoiled. Consumers who have purchased any of the recalled products should return them to the place of purchase or discard them. Anyone with questions may contact Productos Tita Corp directly at 718-381-4393. Be careful about buying or consuming any products from the Mexicali Cheese Corp. of Woodhaven, NY. The warning from the U.S. Food and Drug Administration (FDA) follows the discovery of the bacterium Listeria monocytogenes in the company’s finished product. The affected Mexicali Cheese products were distributed in the New York City area, New Jersey, Pennsylvania and Connecticut. The FDA is asking retailers to remove any Mexicali cheese products from their shelves and warns that consumers may have moved the products beyond those states. Listeria contamination can result in listeriosis, a disease that primarily affects older adults, pregnant women, newborns and adults with weakened immune systems. However, in rare cases, people without these risk factors also can be affected. Although healthy people may suffer only short-term symptoms such as high fever, severe headaches, stiffness, nausea, abdominal pain and diarrhea, Listeria can cause miscarriages and stillbirths among pregnant women. Those who have eaten these products and experience any of the symptoms of listeriosis listed above should contact their health care professional. Consumers can report problems with FDA-regulated products to their district office consumer complaint coordinator. Under a May 1, 2012, consent decree of permanent injunction, Mexicali Cheese was required by a court order to stop manufacturing and distributing any articles of food until it completed FDA-approved measures to correct food safety deficiencies, decontaminate its facility and take other steps needed to comply with the law. The company did not comply with these requirements.